Driving in Africa can be a rewarding experience, and drivers who regularly traverse the roads and dusty trails of the continent can attest to the many splendors that await the eyes and other senses. Unfortunately, driving on those African roads can be a dangerous proposition as well, particularly if your used car is not in good working order. Breakdowns and blown tires can prove troublesome even in the best of times. To avoid being placed in such a situation, it is advisable that you learn the best tips for maintain your used car in a reliable and safe condition. Cars are not designed to last forever, after all, and even the best of them eventually become more trouble than they are worth. You can, however, expect to receive decades of use from your vehicle if you understand how to take care of it properly. Your best bet is to develop a regular schedule for maintenance so that the engine, tires, and other essential components of the vehicle routinely receive attention. As your car ages over time, your maintenance schedule will inevitably compress to reflect the car's need for more frequent repairs. As a general rule, it is important to remember to regularly assess the following areas of your car. Your oil needs to be changed every three or four thousand miles. 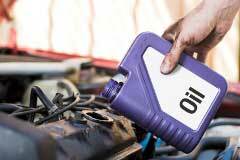 African weather conditions can sometimes be brutal on your car's engines, so frequent oil changes are essential to ensure that your engine maintains its full capacity. Brake fluids, windshield wiper fluid, and water for the radiator all need to be maintained if your car is to function reliably. You certainly don't want to be out on the African roads and have your car's radiator overheat due to a lack of water! Routinely check your headlights, tail lights, and other illumination. Many African roads do not receive regular maintenance, making them somewhat perilous to travel on – particularly at night. Properly working headlights and other lights can literally save your life by providing you the visibility you need t see obstacles before they become a problem. Don't forget the tires! 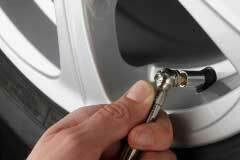 It is important to maintain the proper amount of pressure in all four tires if you want to preserve the tire tread. In addition, having adequate tire pressure can also increase your used car's fuel economy and save you money at the pump. Your fuel and air filters should be regularly cleaned, ad replaced when they become so filthy that they can no longer function. A dirty fuel filter is a common cause for engine misfires and poor performance. In addition, be sure to have your transmission fluid checked every thirty or forty thousand miles, with a full inspection of the transmission being done at least every fifty thousand miles. The cooling system will also need to be checked within that time frame, especially for those who drive in the desert. Belts in the engine need to be replaced on average every sixty thousand miles or so, but should be checked regularly for severe wear. Although these maintenance tips are valuable for drivers everywhere, those who drive in Africa should be even more diligent in following a regular schedule of checkup and repair. Dusty or extremely hot climates pose special risks to vehicles, and often necessitate even more frequent maintenance. Keeping a journal of the work you do on your used car, complete with dates and repairs, can help you to identify particular areas of the vehicle that require more frequent maintenance than others.